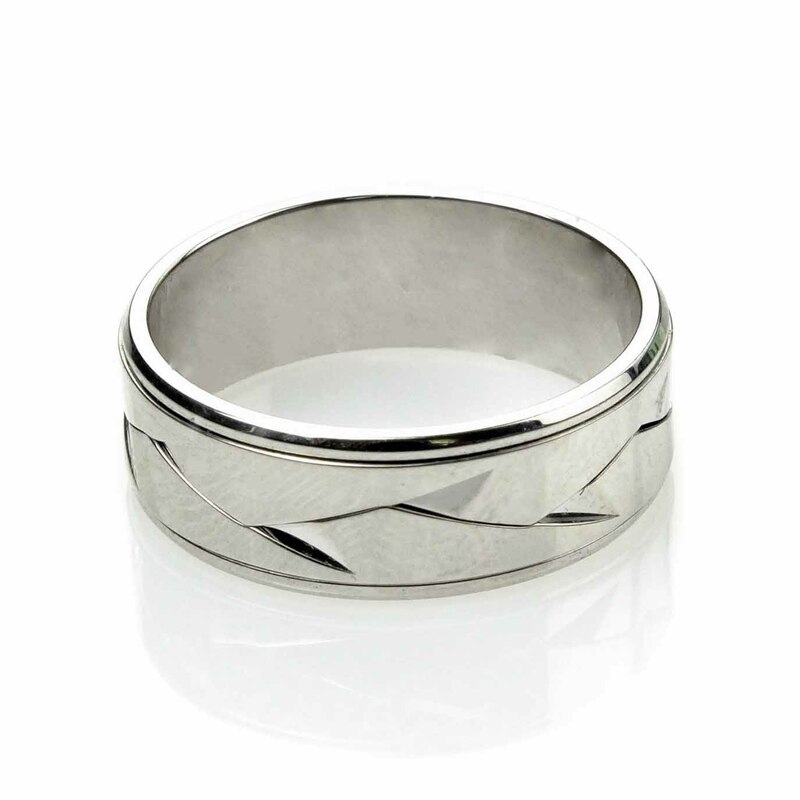 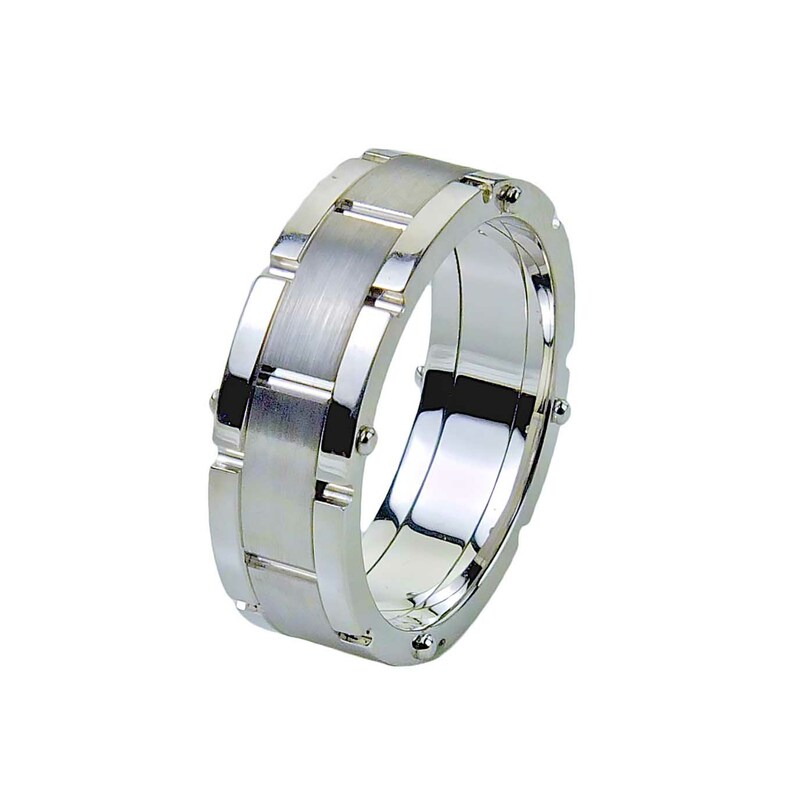 A rugged construction look mens wedding band, with centre satin detail in contrasting colour. 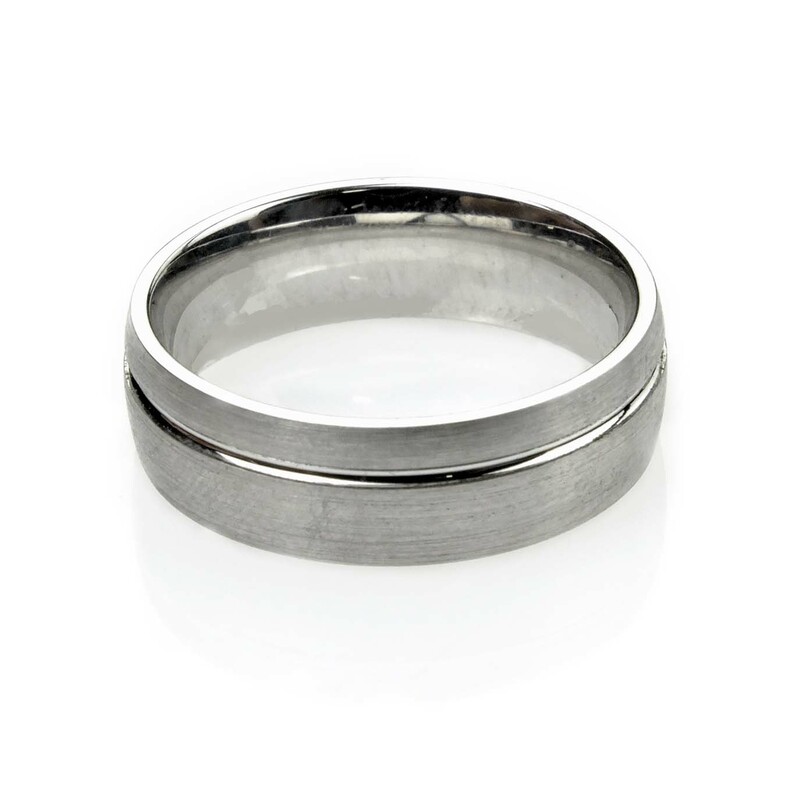 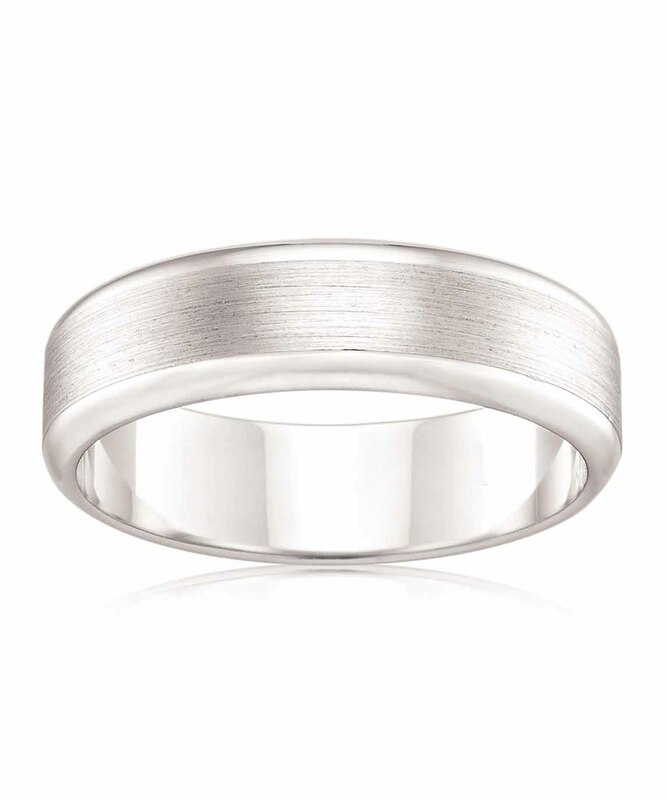 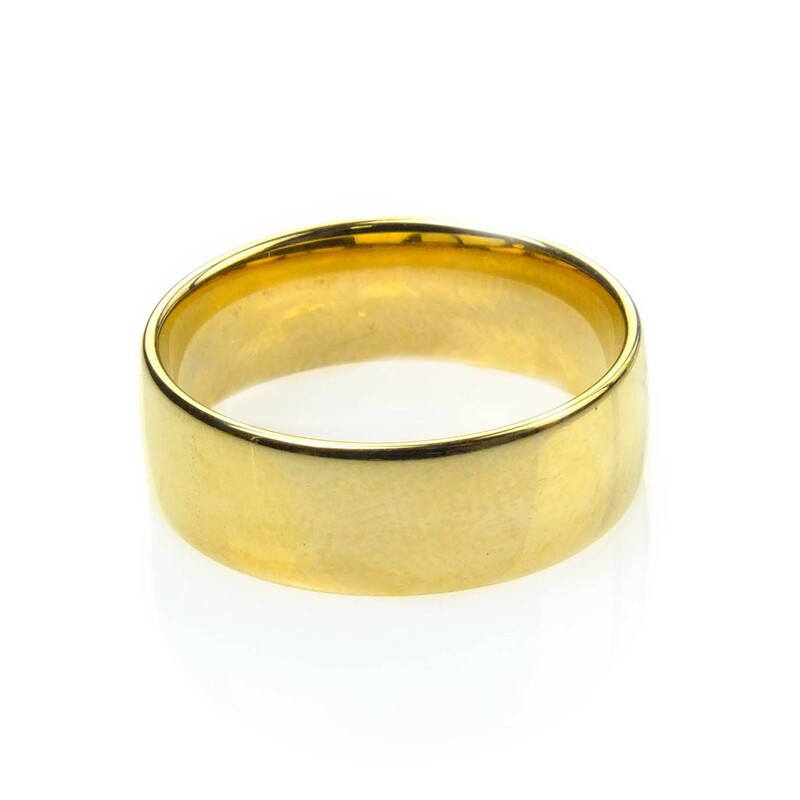 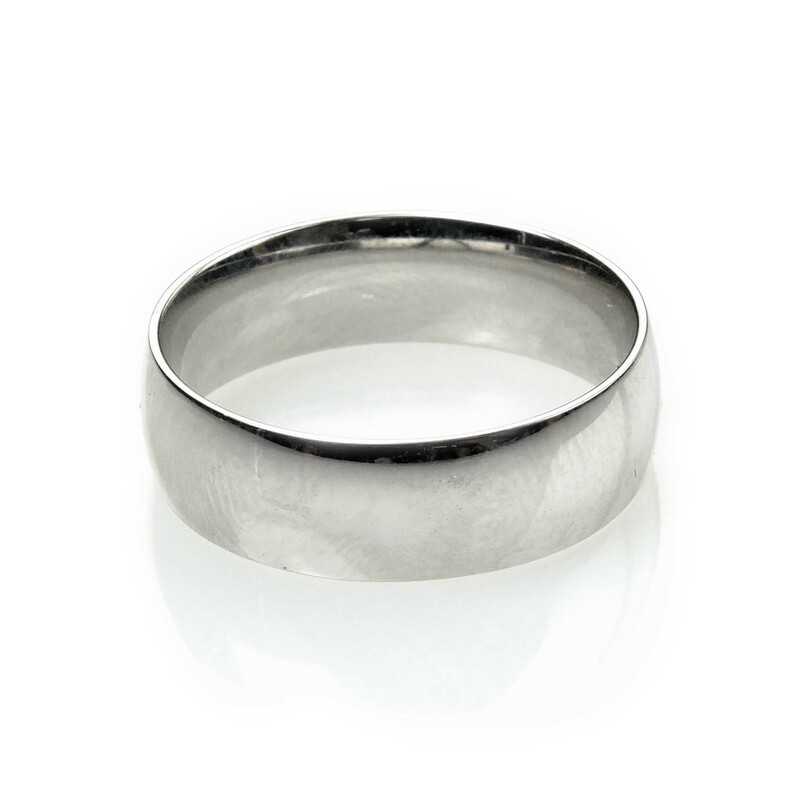 POA: dependant on metal,size etc..
A classic mens wedding band with satin finish and a gentle curved profile. 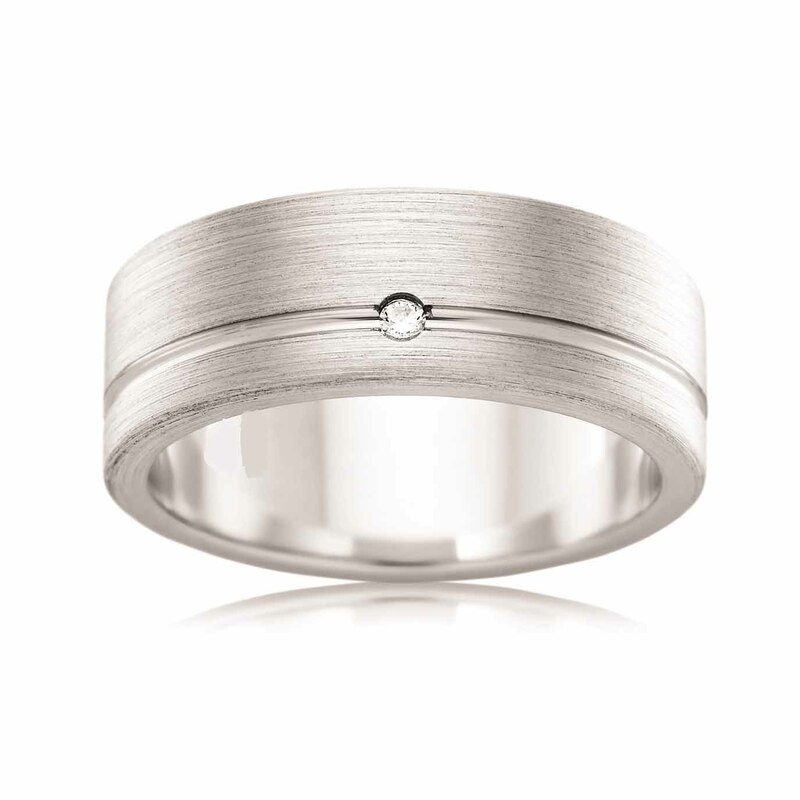 The band features a subtle fine groove and a single round brilliant diamond shot set in the groove. 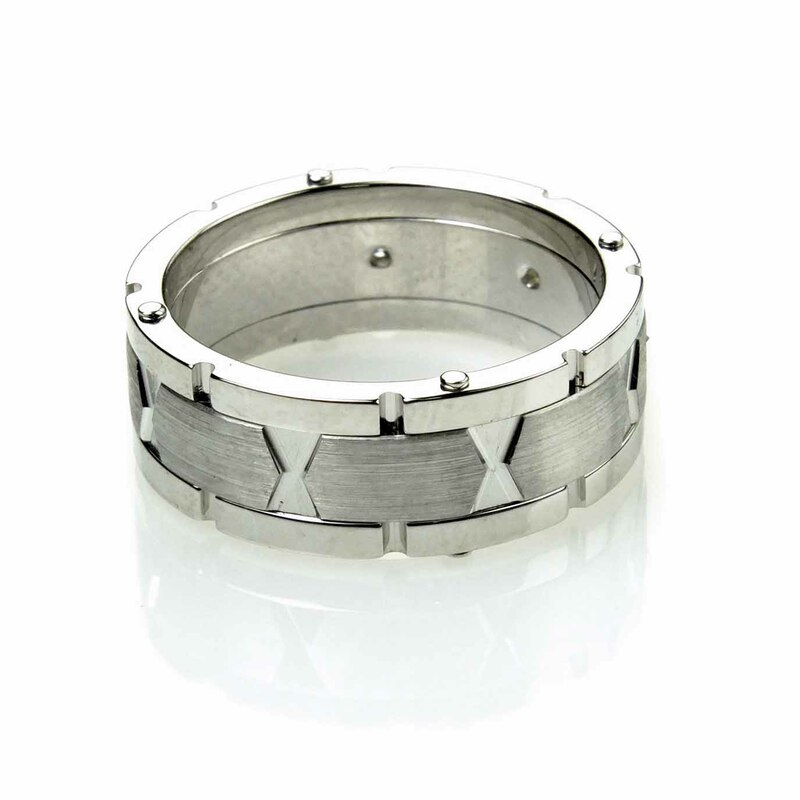 Full interior comfort fit. 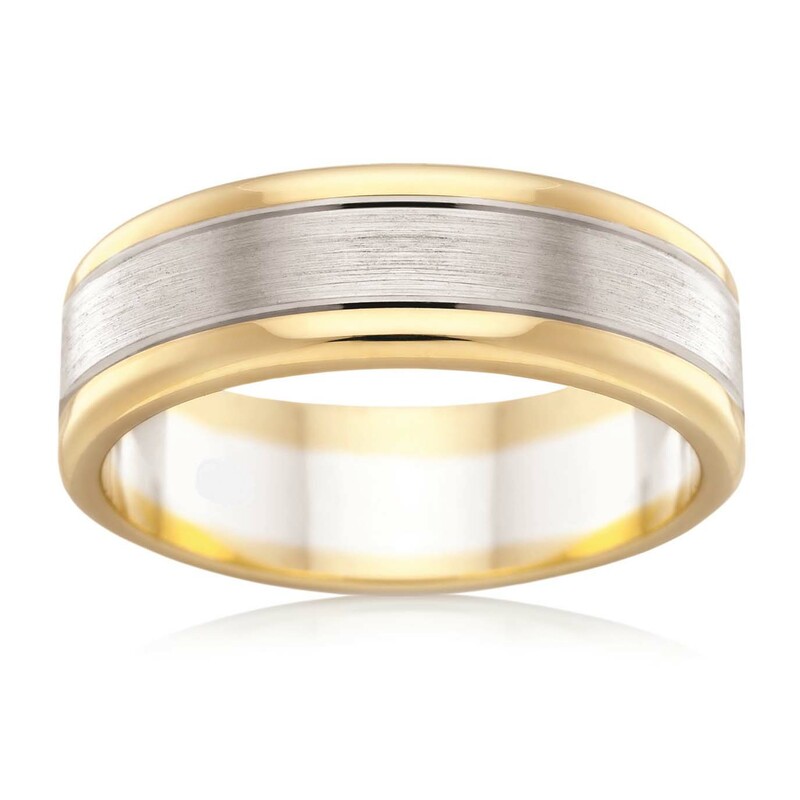 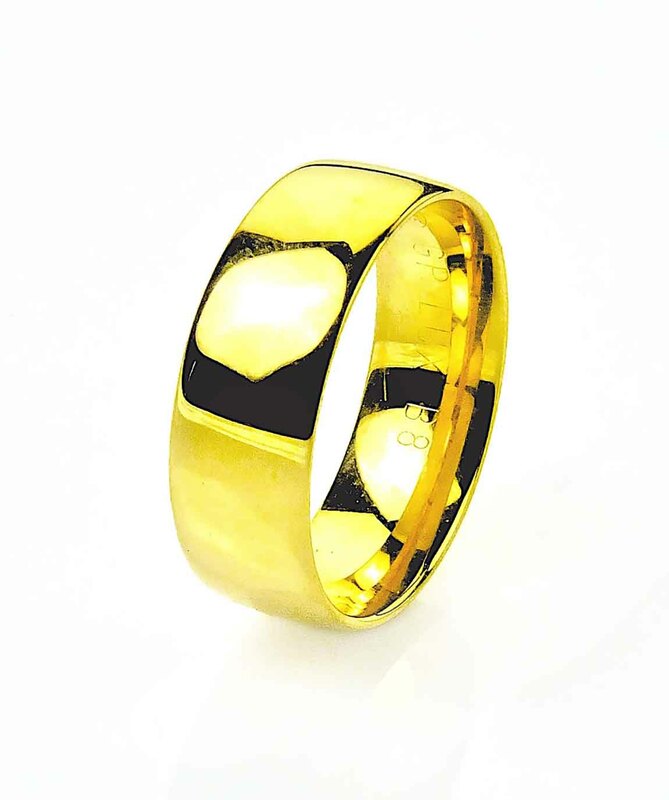 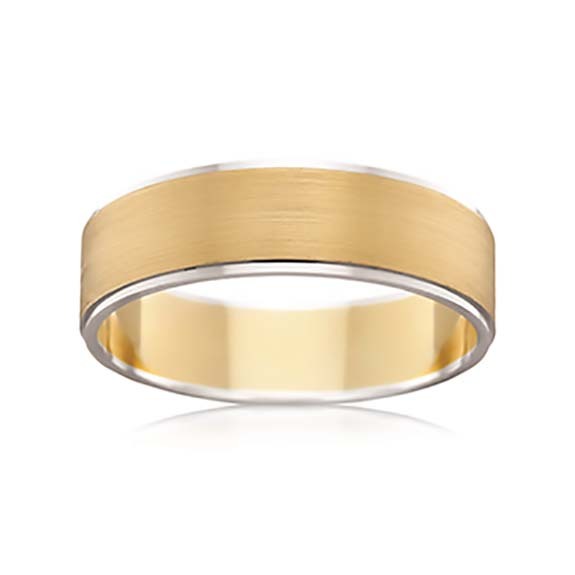 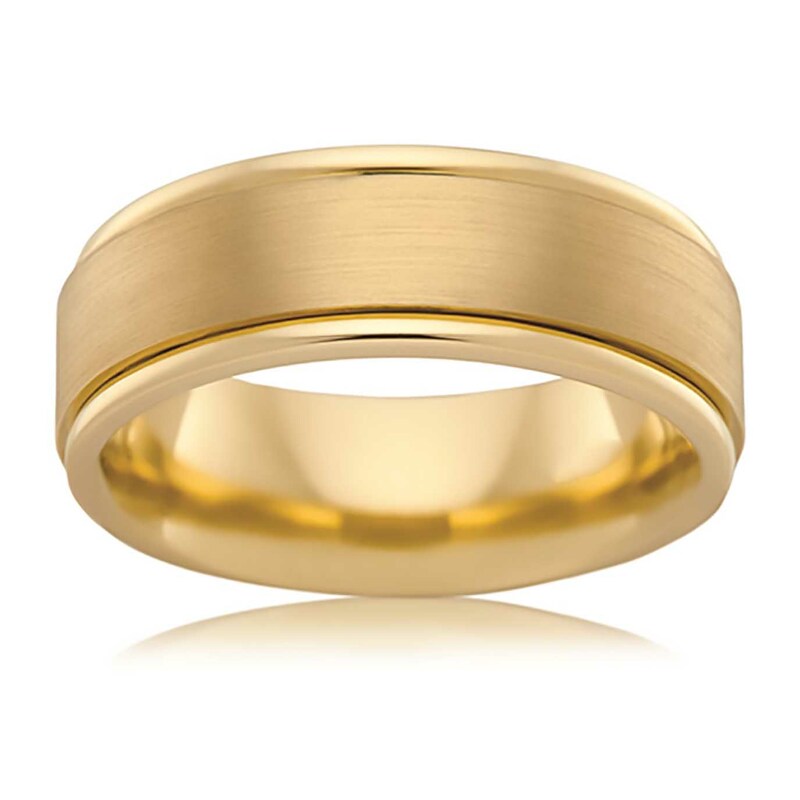 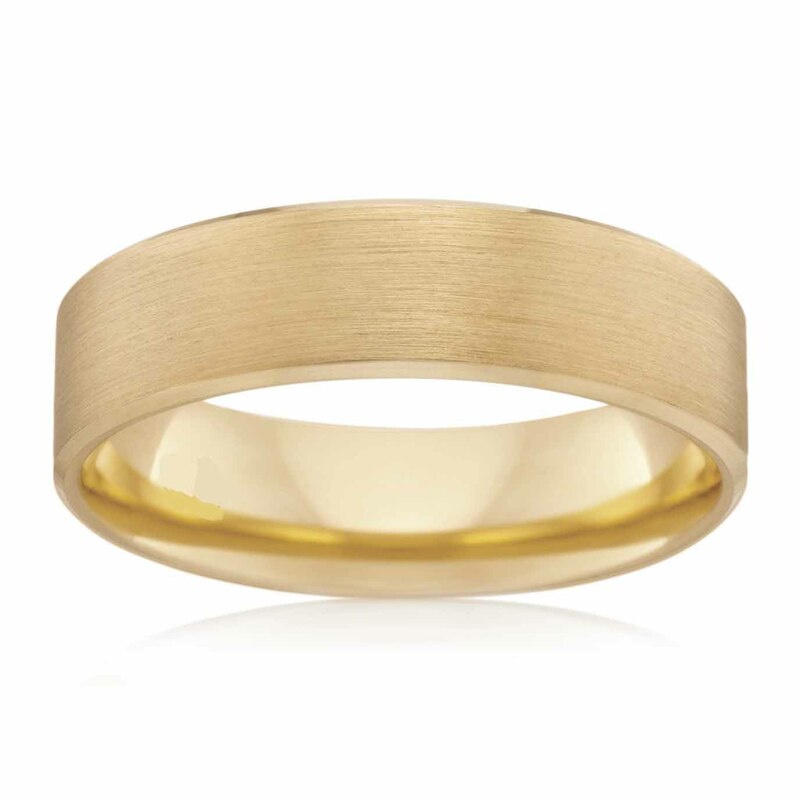 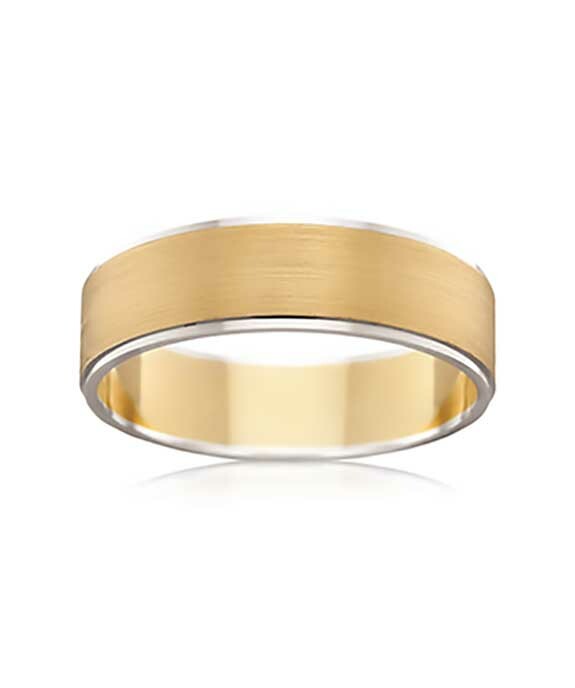 A classic plain designed mens wedding band with slightly curved profile and a high gloss polish finish. 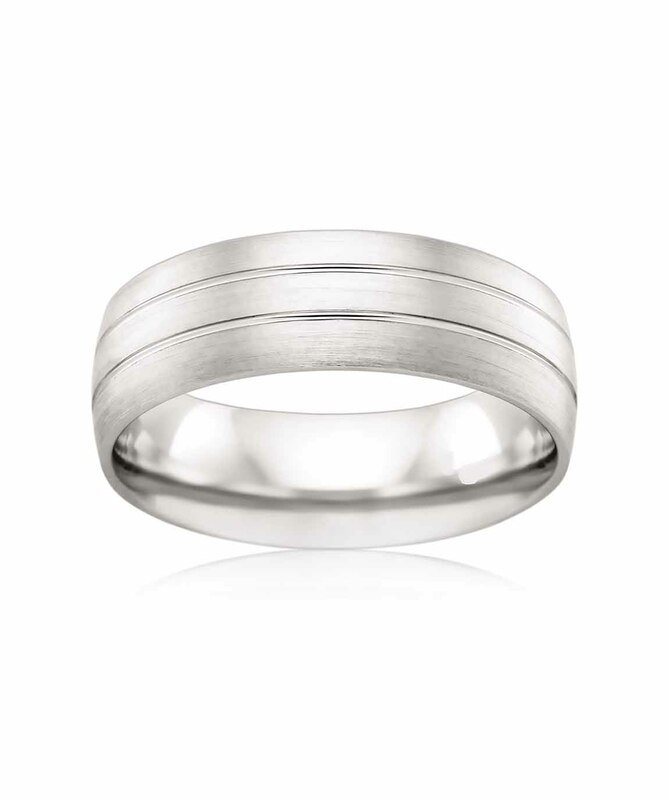 Full interior comfort fit. 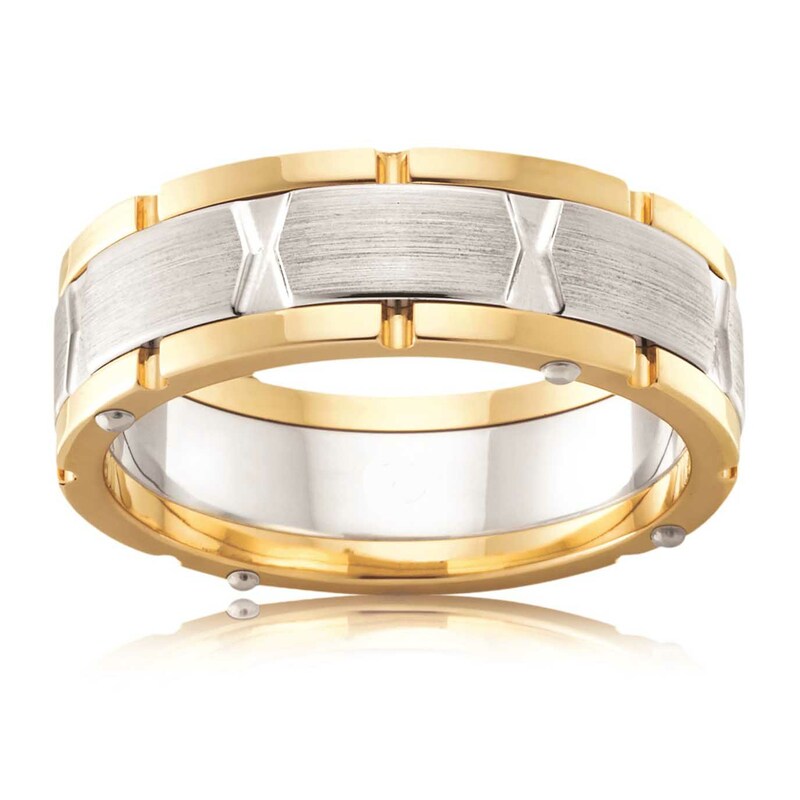 The band features a fragmented layered look with sharp edges reminiscent of shattered glass. 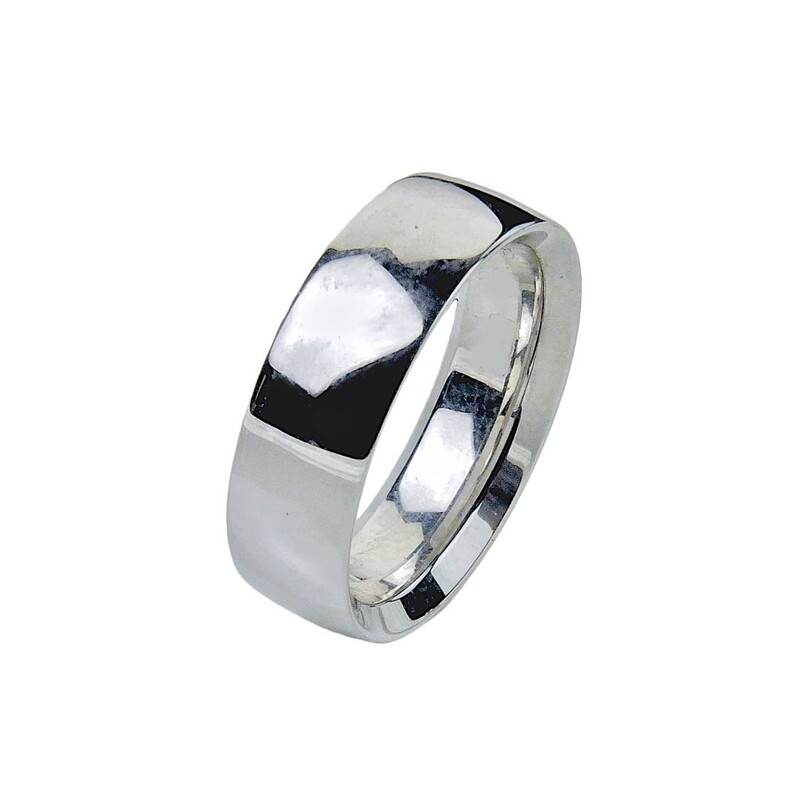 A high gloss polish finish and flat profile, with full interior comfort fit. 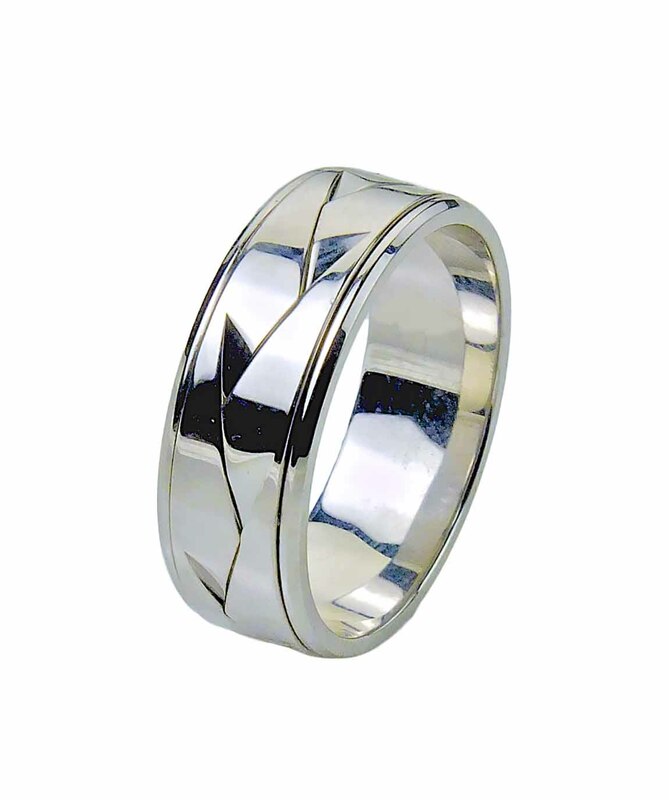 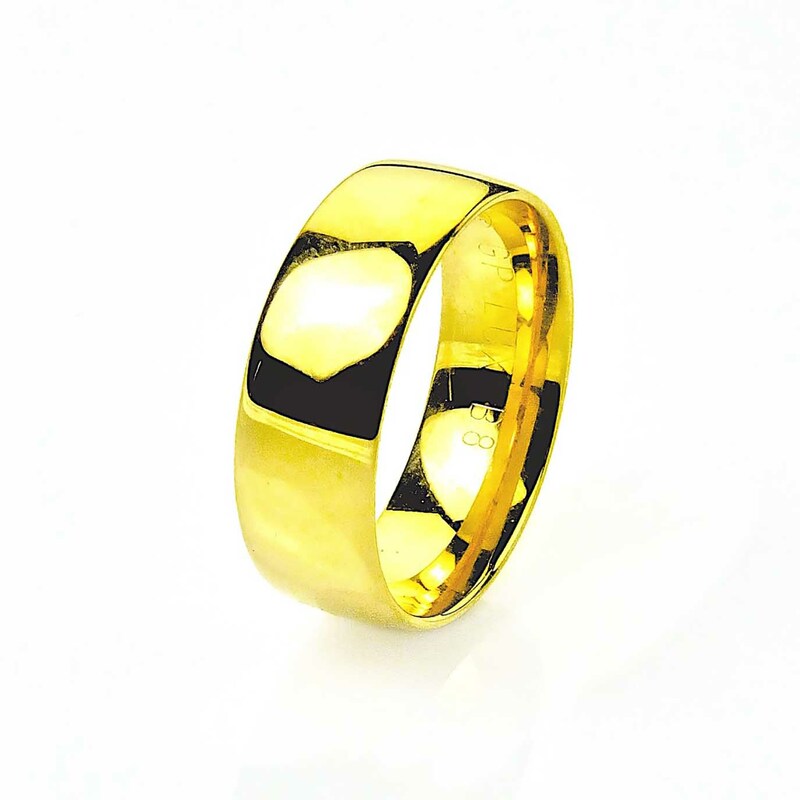 Mens wedding band with a satin and polished finish. 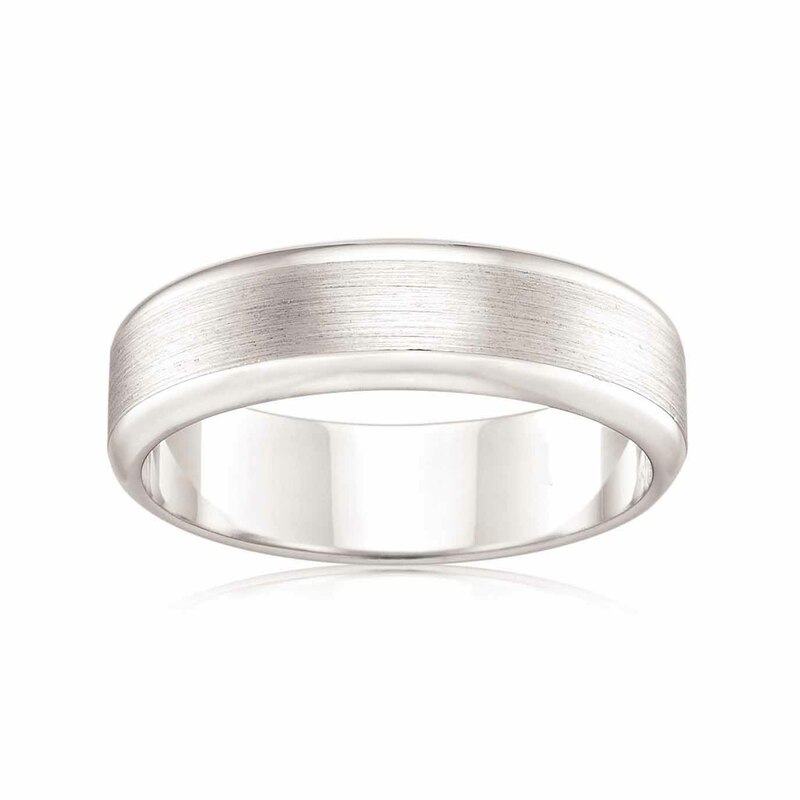 A subtle use of texture by combining a wide centre band in satin with polished rounded edges and a flat profile. 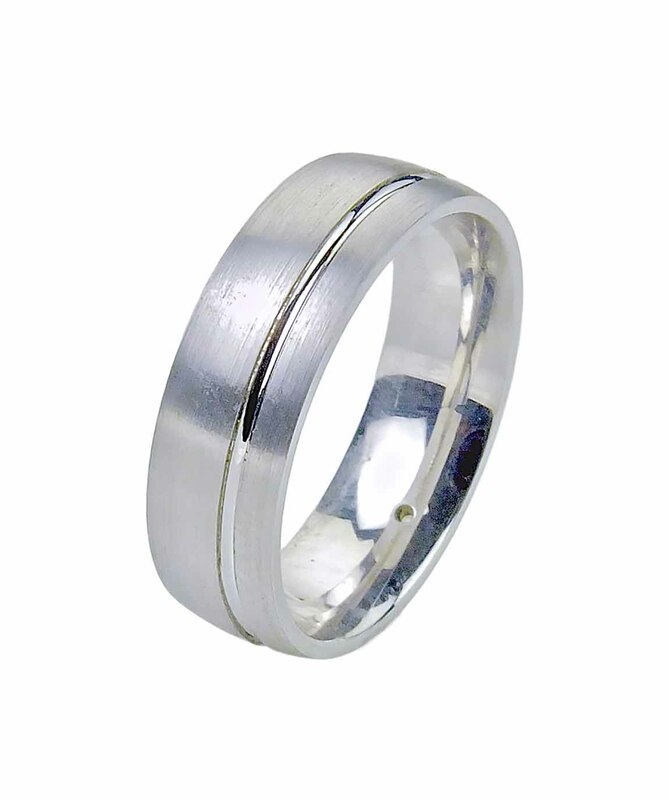 Full interior comfort fit. 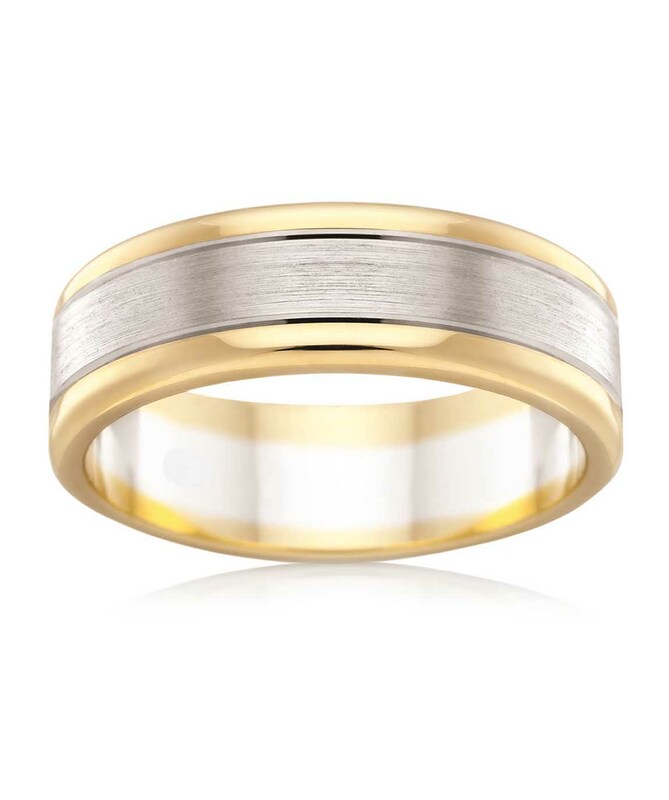 $POA: dependant on metal,size etc..
A classic mens two tone wedding band. 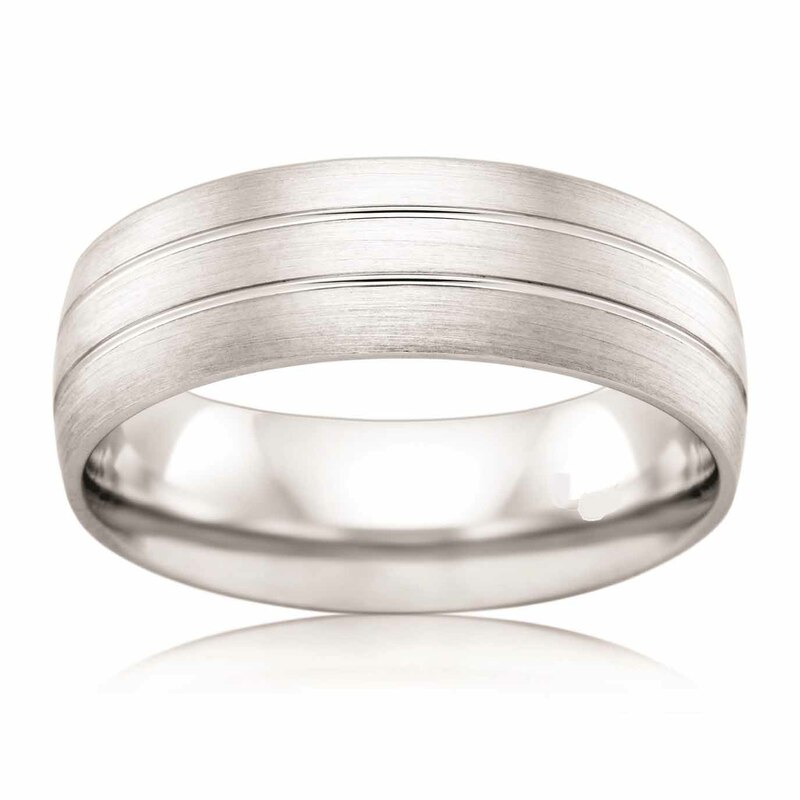 The ring features a wide centre band in satin finish with two finer outer rails in a polished finish with a flat profile. 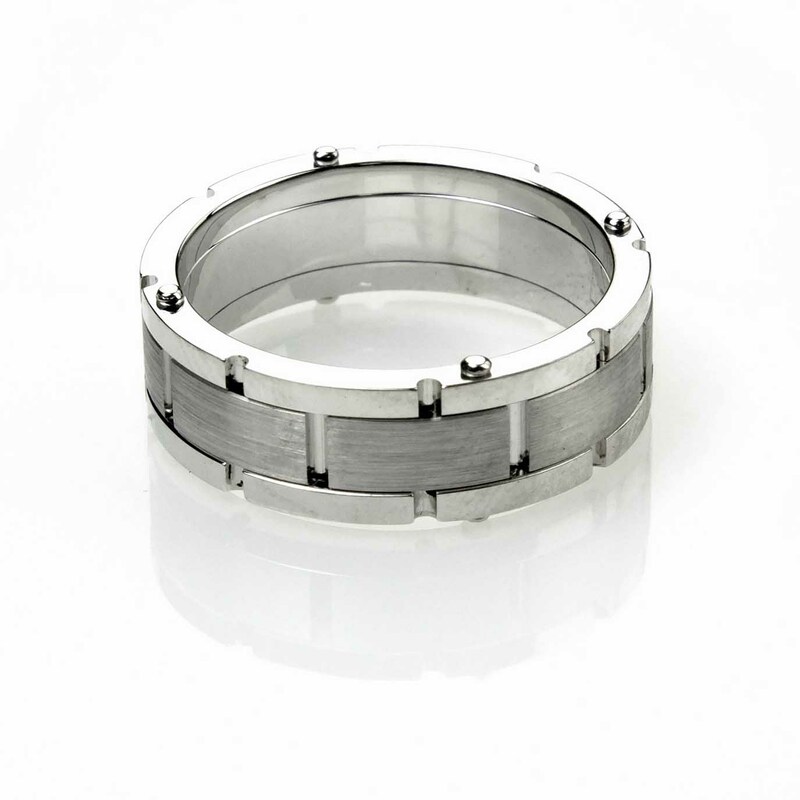 Full interior comfort fit. 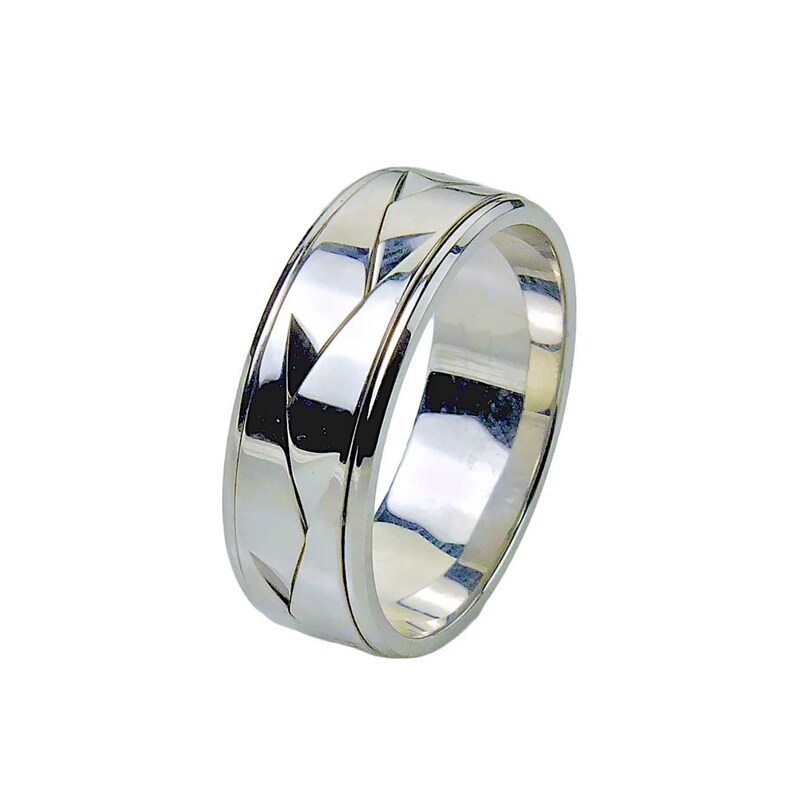 Mens wedding band with a satin and polished finish. 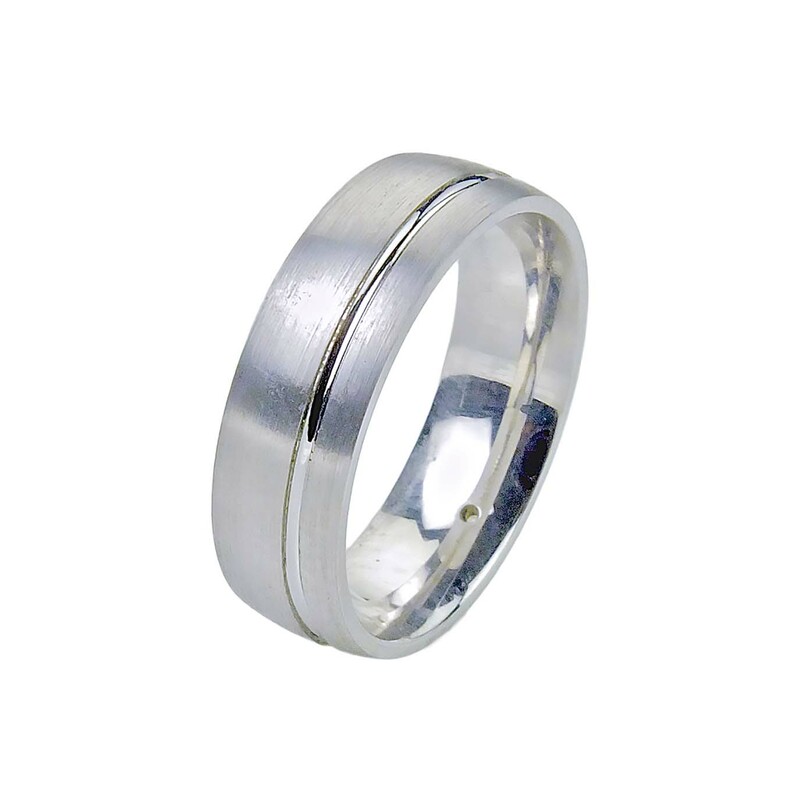 The ring is comprised of a raised centre band in satin finish and two outer rails in polished finish with flat profile. 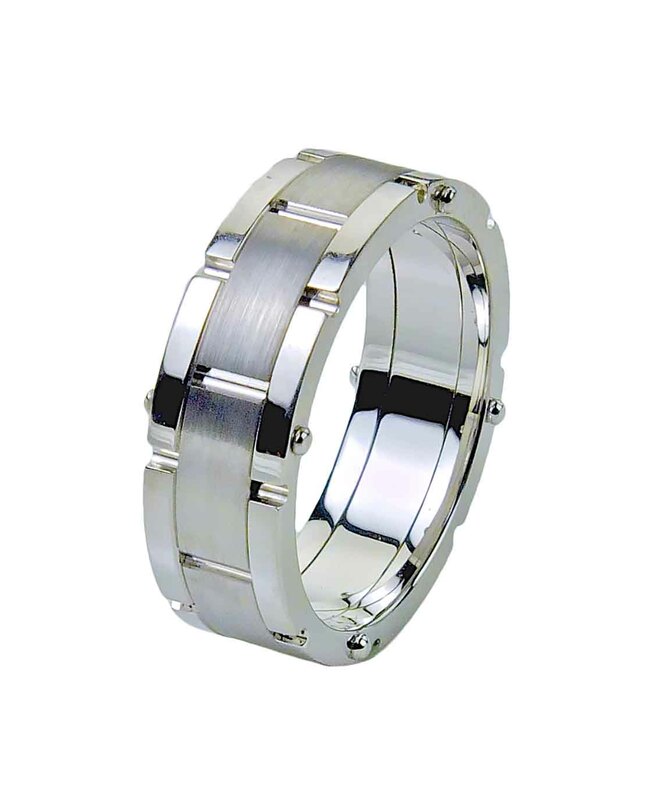 The band can be in two colour tones. 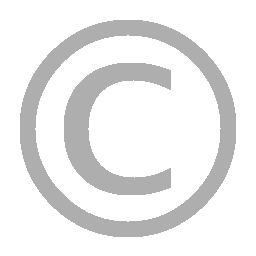 Full interior comfort fit.